For many, the Momentum Center serves as a home base, a place to meet friends and make the connections. 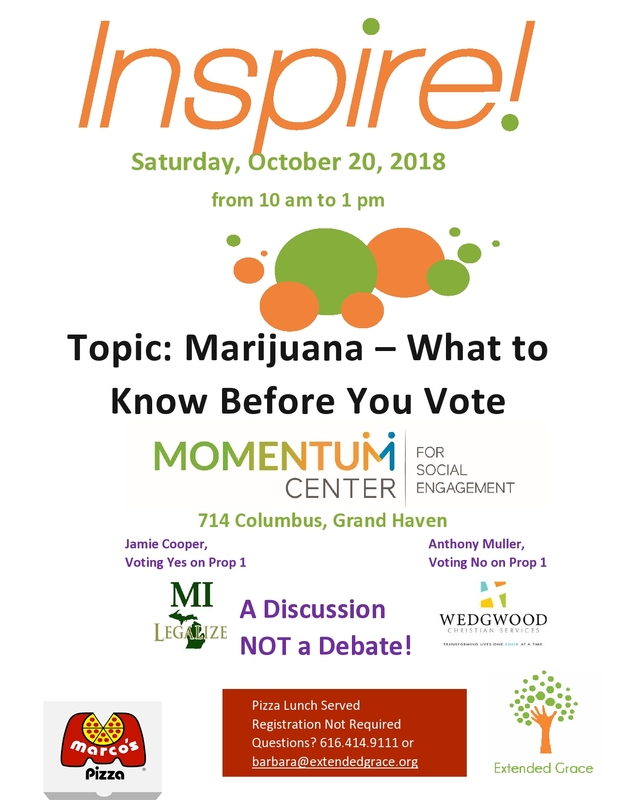 The new Momentum Center Annex, located immediately to the west of Just Goods Gifts and Café, with the entrance on Columbus Avenue, provides additional space for an expanded offering of classes, teen program activities, and support groups--but we need to furnish the space! 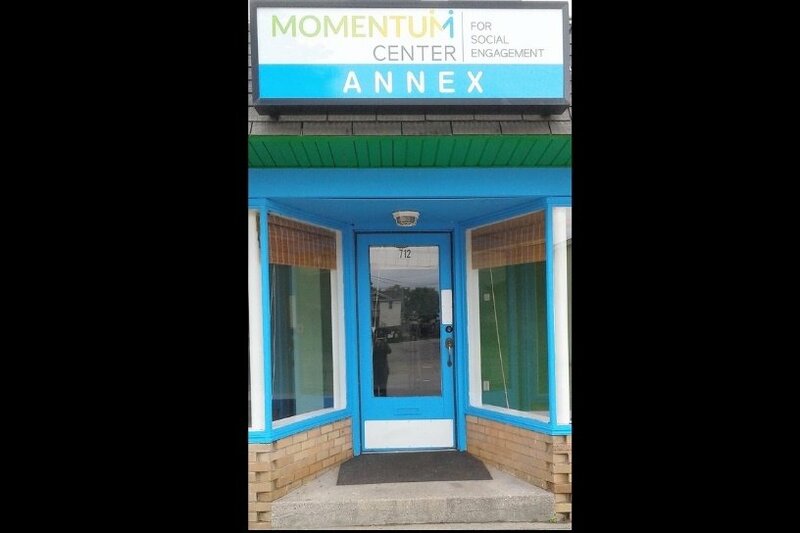 Join our GoFundMe effort to raise funds to furnish the Momentum Center Annex! Upcoming activities, which take place on Wednesday evenings and Saturday afternoons, include the Grand Valley Renaissance Festival, fun at Mulligan's Hollow, and homework help. 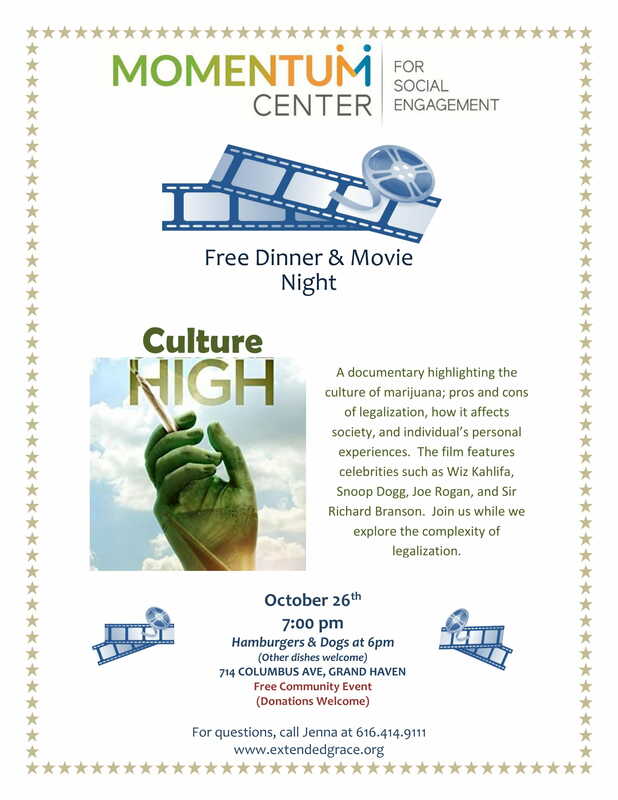 Continue learning about the topic of marijuana legalization. 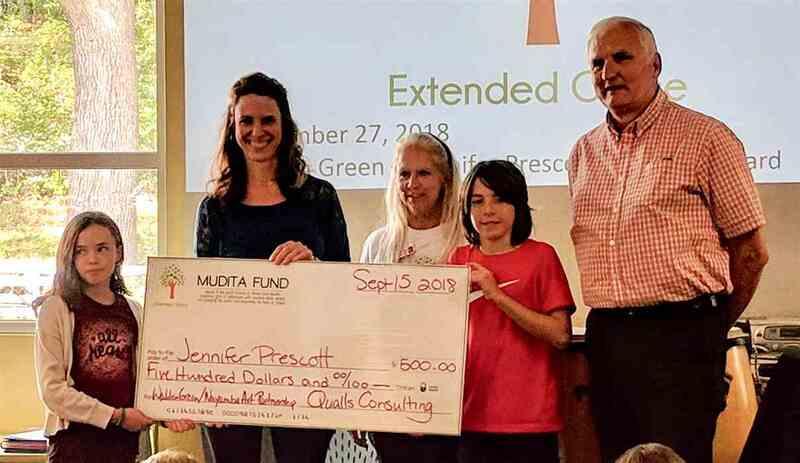 The most recent Mudita Gift was awarded to Jennifer Prescott and her students at Walden Green. Read all about it in the Grand Haven Tribune! Do you have an idea to improve the lives of others? 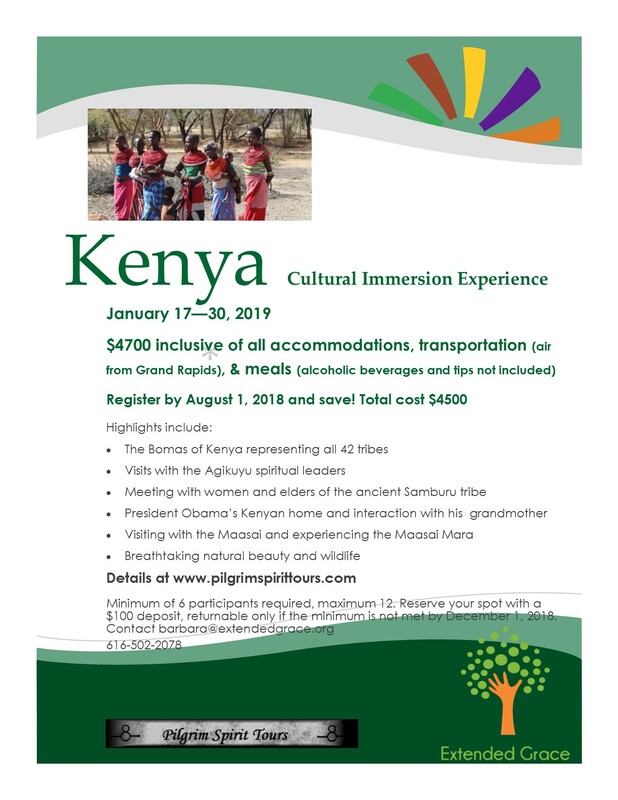 See information and the application for a Mudita Gift here! 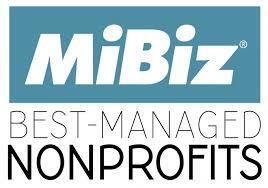 and programs we sponsor. Please consider becoming a monthly donor, the sure and easy way to show your support. Click on the title above to access the donation page at Extended Grace for all the options! Thank you!